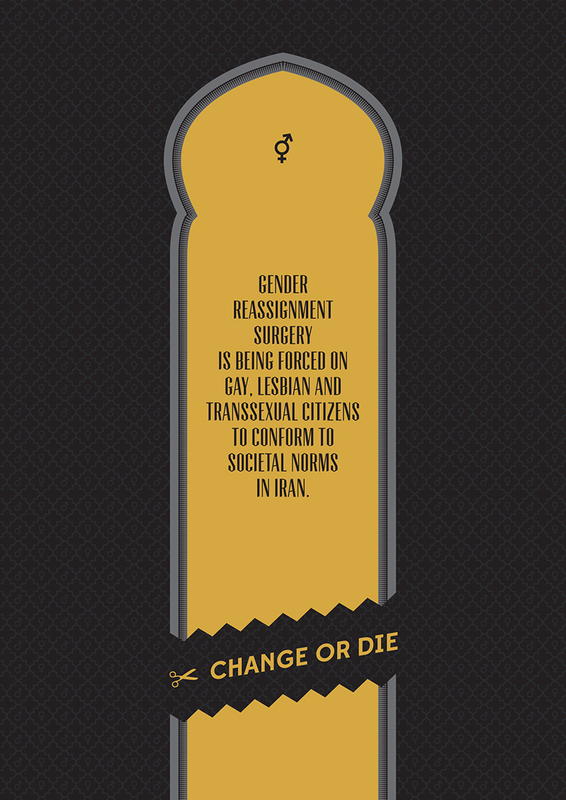 Gender reassignment surgery is being forced on gay, lesbian and transsexual citizens to conform to societal norms in Iran. Iran is one of the countries where homosexuality in punishable by death. Living as an openly gay man or lesbian is not possible and gay citizens are being coerced into having gender reassignment surgery to cure them of their homosexuality. They are even offered loans to pay for the surgery, as the Islamic Republic is confusing gender identity with sexuality. Family members threaten to murder their gay relatives if they don’t agree to the having the operation. While Iran rejects the idea of homosexuality, it is more supportive of transgender people. The founder of the Islamic Republic, Ayatollah Kohmeini, issued at fatwa in the 80’s allowing for gender reassignment surgery after he met and was moved by a transgender person. Gender reassignment surgery should be a choice that no one should be threatened with or pressured into.